Below are the major items on Chatterbox's Wish List. If you'd like to help us out, please consider donating toward one of the following items by clicking "Donate." Remember, you don't have to give the full amount listed here -- you can give a donation of any size toward any of the items listed below, and we'll let you know when we've received enough donations to purchase the item. In other words, all gifts are greatly appreciated! This generous type of gift allows us to apply your funding wherever it's most needed -- whether to one of the items listed below, or to any unexpected expenses we may encounter. Many of the valued folks listed on our Supporters page choose to give unrestricted donations. Our most immediate and pressing need. The rent on Chatterbox's amazing studio space is a very reasonable $365/month, which includes utilities. That comes to $4,380 a year. A small price to pay for a dedicated studio that sounds fantastic and is available 24 hours a day. Mackie Onyx 1640i Firewire Mixer - SPONSORED! This mixer will be placed permanently in the Chatterbox studio. At the moment, Chatterbox producers must provide their own recording hardware; owning this mixer will mean anyone can learn to produce our shows. It's powerful enough to handle our biggest productions, it's reasonably priced, and it sounds great. Chatterbox's website is our virtual theater: our lobby, our performance space, our green rooms. Naturally, it costs money to store and host our site -- especially with all the large sound files we handle. Still, we can cover the costs of storage, hosting, domain names, our e-newsletter, and backup for only about $1,000 a year. 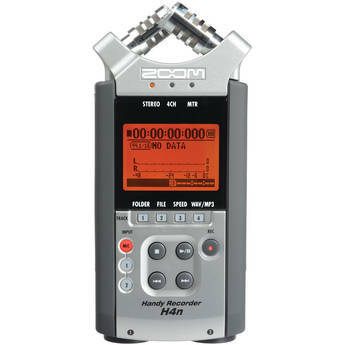 Zoom H4n Mobile Recorder - SPONSORED! An essential item for the enhanced Educational Workshops we will soon be conducting in area school and community organizations, this amazingly powerful portable recorder will enable us to capture student performances, then post them to the Chatterbox website. Compact and user-friendly, it eliminates the need to travel with a laptop computer. Two SM58s with stands and cables - SPONSORED! These rock-solid, classic microphones will mainly be used for Chatterbox's Educational Workshops. The durable SM58s travel well and sound great. They'll interface easily with the Zoom recorder (above) to record student performances. And of course they'll come in handy in other scenarios as well -- most likely during our live performances. Skyway Sigma Expandable Vertical Case - SPONSORED! Another item for our Educational Workshops. 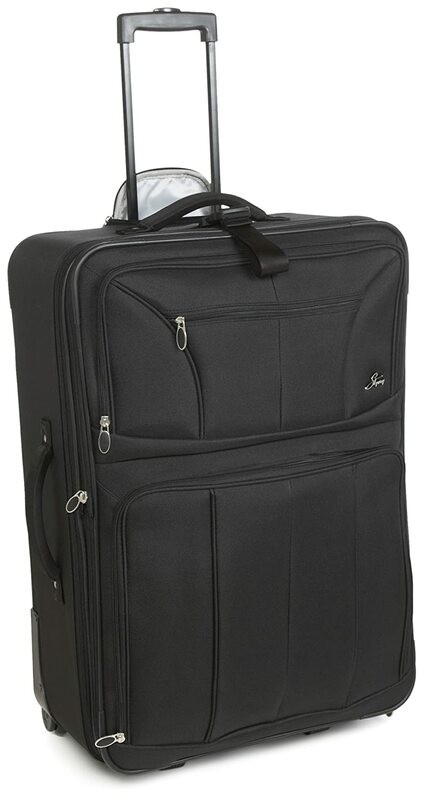 This rolling suitcase will hold nearly everything our instructors need to conduct workshops just about anywhere. It will be packed to the brim with sound effects and recording equipment -- but it will be easily manageable by a single set of hands. AKG K-44MKII Headphones - SPONSORED! We already use these reliable headphones in the Chatterbox studio, but we'd like one more pair to send along with our Educational Workshop instructors. They'll use these babies to monitor student performances and make sure the recordings sound their best. An item for the Chatterbox library. 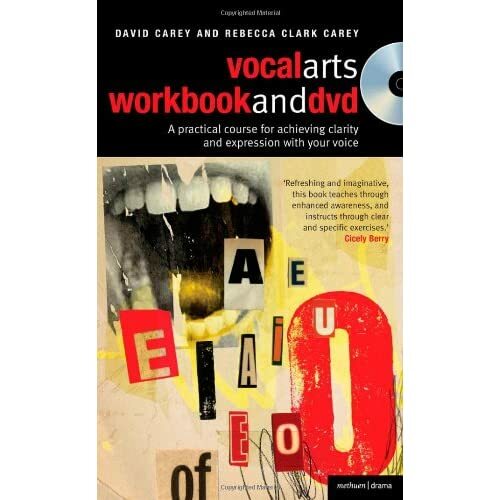 This book and DVD combo has exercises, tips, and techniques for expanding one's vocal range. A great reference guide and resource for Chatterbox directors, performers, and instructors. Boy, do we spend a lot of time in flea markets. Chatterbox shows have some truly bizarre sound effect needs, and while we often use what most people would consider "junk," even junk can add up. Consider giving a small amount toward our Production Expenses fund, which pays for things like sound effects, script copies, and bottled water for our casts.